Our company is one of the market leaders engaged in offering a wide range of Amplitude Modulation And Demodulation. Our product range also comprises of DC Electronics Systems, AC Electronics and Semi-Conductor Devices. 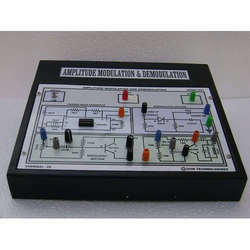 Looking for Amplitude Modulation And Demodulation ?